A budget cap, cheaper and simpler engines, more standardized parts, and a more equitable distribution of funds: Liberty Media's vision for Formula 1's future from 2021 on is pretty much as expected. However, both the sport's American owner and the teams are keeping their cards close to the vest following their meeting at the Bahrain International Circuit. "I think we're going to avoid going into specifics of what was discussed this morning", said McLaren director Zak Brown in the team representatives press-conference later on Friday. He stated that it was agreed between the teams, Liberty Media, and governing body FIA to keep the plans under wraps even though the specifics were at that time already being openly discussed in the paddock, outlining the generic brief Liberty put out publicly. Auto, Motor und Sport reports Liberty Media wants to impose a 150 million dollar budget cap, excluding marketing costs and salaries for drivers and key staff. According to the German publication, this would force the big three (Mercedes, Ferrari and Red Bull) as well as Renault and McLaren to cut spending and lay off personnel, but leave the five remaining teams unaffected as they allegedly spend less than $150 million per year currently. 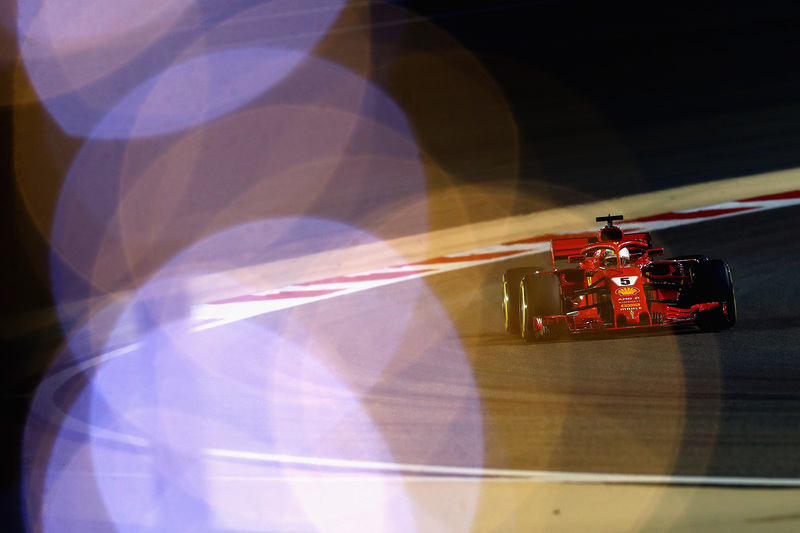 Liberty Media also reportedly wants to significantly reduce the payments the top tier teams—Ferrari first and foremost—receive from Formula 1, with a merit-based bonus system eyed instead. The push for cheaper, simpler engines, meanwhile, follows an earlier and controversial proposal for a new engine formula. The idea is to stick with hybrid V-6 turbos, but introduce standard turbochargers and batteries while dropping the highly complex MGU-H (which recovers and converts heat energy from exhaust gases). The kinetic braking energy recovery module (MGU-K) will be made more powerful instead. As for further details, McLaren chief Brown said "there's obviously a lot", but: "We'll do that behind closed doors." F1 wouldn't be F1 without public politicking, however. It didn't take Mercedes team boss Toto Wolff very long to directly respond to the rumored 150 million dollar budget cap—and reject it. 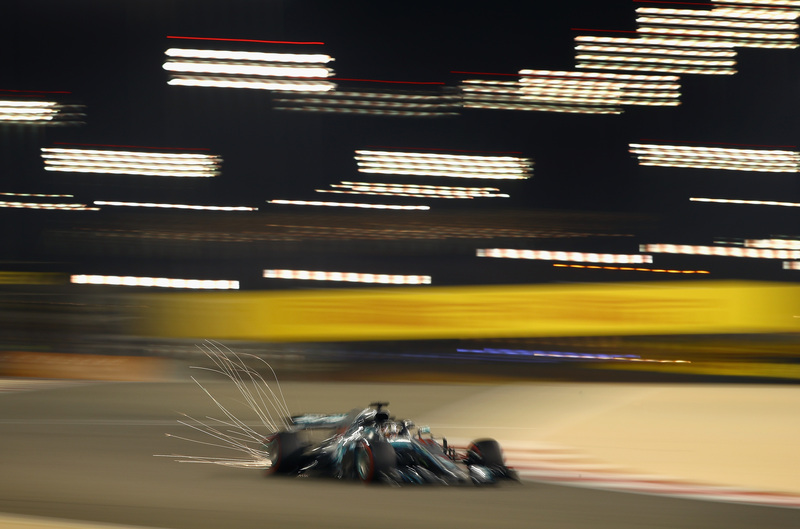 "That number is much too low for the big teams,” Wolff told Sky Sports F1, emphasizing it doesn't include several fields of expenditure. "When you add all the extra bits that are being excluded, you are probably at a much higher number." How much higher? "250 million", said Wolff, calling that number "suddenly not so crazy anymore." The implication being the 150 million is not realistic. Perhaps most telling, however, was McLaren's Brown stating that "overall the impression is very positive" and Williams' vice team principal Claire Williams ready to "crack open some champagne" if Liberty Media gets these changes through, but Wolff describing the proposal as "a good starting point." Adding that they “need to work with Liberty and find a compromise." 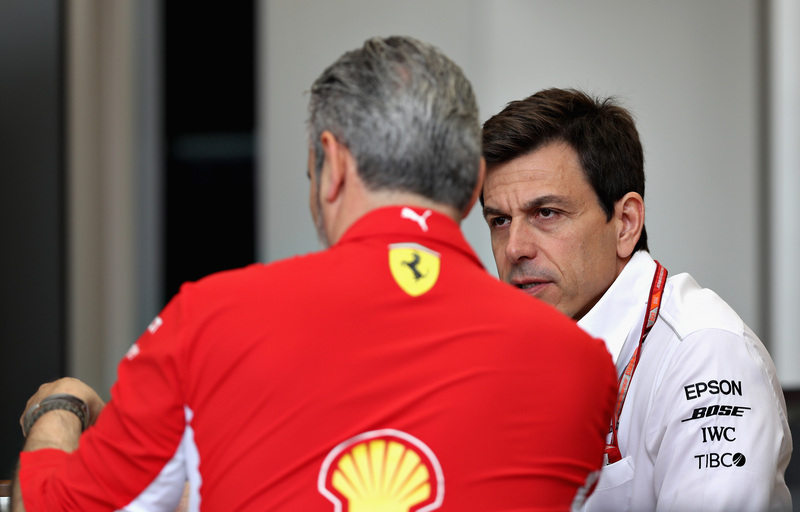 Arrivabene of Ferrari and Wolff of Mercedes.Getty Images. 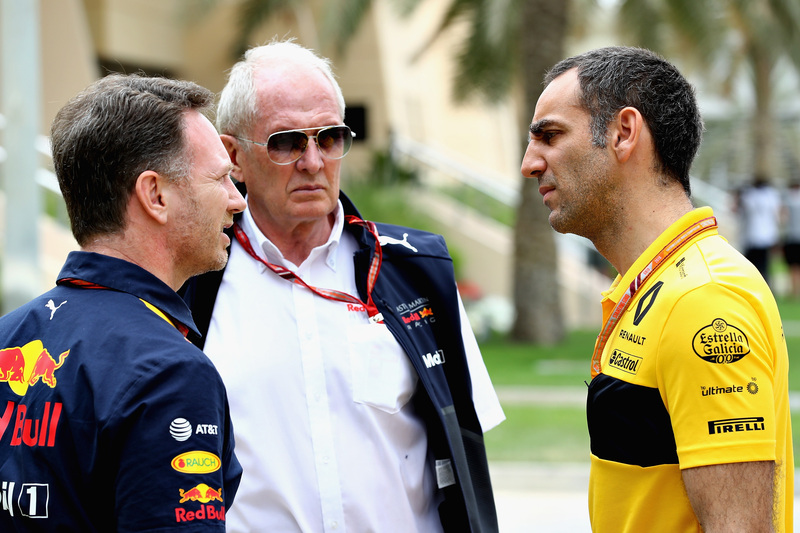 Red Bull's Horner and Marko and Renault's Abiteboul.Getty Images. It seems, then, that after months of speculation the summit in the desert kingdom Bahrain has served to have the first clear lines being drawn in the sand. Much will depend on how firm Liberty Media's stance is. Especially in the face of opposition from the closely allied Mercedes and Ferrari, with Ferrari having threatened to leave F1 before Liberty even presented its plans. It says a lot that Ferrari president Sergio Marchionne wasn't in Bahrain, but his name buzzed around. According to Auto, Motor und Sport, Liberty Media has already shown willing to make financial concessions to Ferrari, but if it'll be enough? To get back to Brown: "I think we'll find out soon enough who's on board and who's not." CEO Sergio Marchionne said 'Ferrari will not play' if the new regulations aren't up to snuff.